We pride ourselves on our reliability and dedication to customer service! Our Pressure Cleaning equipment will remove the mold, mildew and green algae so prevalent in Florida. It will also clean dirt, oil and grease, leaving your home environment cleaner, healthier and more attractive. The Pressure Cleaning Solution – Different solutions are used for different applications. Some are designed for use on brick and concrete, others are designed for use on wood. Using the wrong solution or incorrectly mixing the solution can damage your home, causing expensive repairs. Pressure – Setting the correct pressure is governed by the surface material being cleaned. 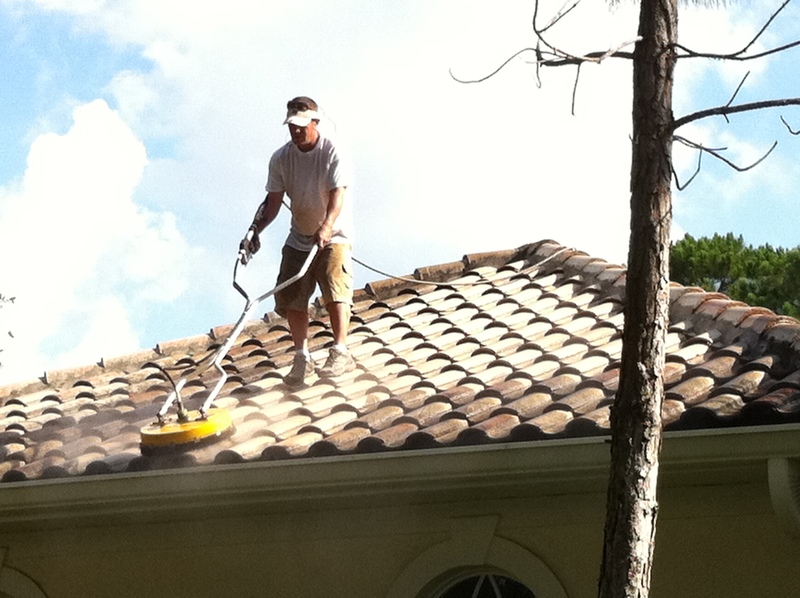 For example, cleaning a wood deck is very different from pressure cleaning a tile roof. Too much pressure on the wood deck will literally strip the wood away. Flow Rate – In addition to setting the pressure, professional equipment will allow the operator to set the flow rate. In fact, water flow rate plays a significant role in determining how well a pressure washer performs. Measured in gallons per minute (GPM), the flow rate is the key factor in determining how long a job will take to complete. Pressure Cleaning Attachments – The final factor is picking the correct tool for the job. There are all types of pressure cleaning attachments, from different size nozzles to rotating brushes, we will always use the correct accessory for the job at hand. Mixing and matching the four variables above is as much an art form as it is a science and at Grimebusters, Pressure Cleaning is our art form. We will take the time and bring the expertise needed to do the job right. 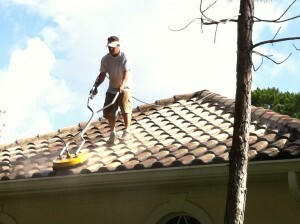 We are licensed and insured and experts at what we do! Your property will be safe in our hands.